As Utahns debate a seemingly doomed proposal to ban seasonal stove use, Utah’s most populous county enacted its own rules banning stove use on both mandatory and voluntary air actions days as of Jan. 1, 2016. In other counties, voluntary air action days continue to be voluntary. This will impact about half of all wood burning appliances in the non-attainment counties and could contribute significantly to reducing wood smoke. Salt Lake County has nearly 102,000 wood burning appliances, with fireplaces accounting for a majority of that with 60,000 units, according to EPA figures. There are nearly 20,000 uncertified wood stoves and about the same number of pellet stoves and certified wood stoves. This stove inventory was provided by EPA who use a variety of databases and sources to estimate the deployment of wood burning devices. 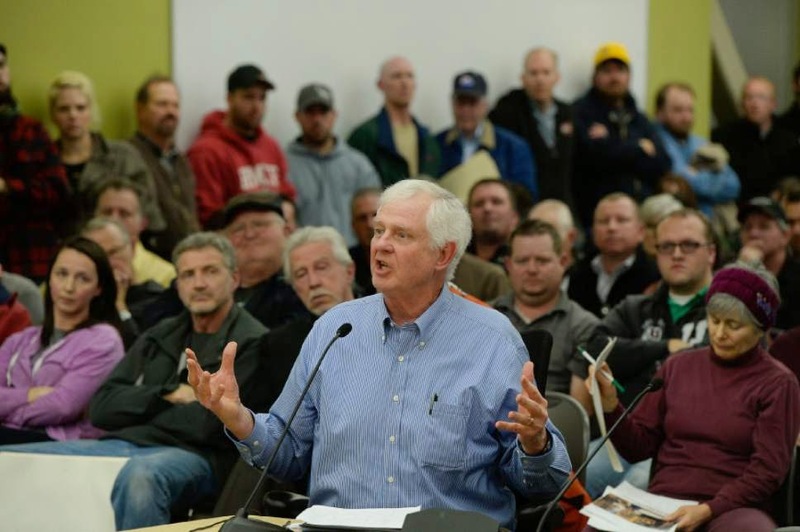 The governor’s seasonal ban proposal that would impact 7 counties in and around Salt Lake City is drawing intense and sustained criticism from Utah residents, with only a few people speaking up in support of the ban. It's also drawing national attention from the wood stove industry that wants a 2-stage system, where EPA certified stoves could be used in stage 1 and all stove use banned in stage 2. 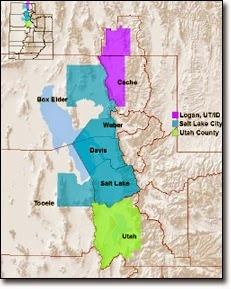 On the other hand, Salt Lake County, which has a more than a third of the state’s population and nearly half of the population and half the stoves in the Wasatch front non-attainment area, went the opposite direction, including all stoves, certified and uncertified, in both stages of air action days. “This is a significant measure and with more enforcement could achieve a quarter to a half of the reductions that the Governor's plan sought,” said John Ackerly, President of the Alliance for Green Heat. The issue has become an emotionally charged debate about individual rights vs. government control, striking a nerve within a deeply conservative part of the country. In the public hearings, many people have testified about not being able to afford any other fuel than wood, and not wanting to be forced to use fossil fuel when they can use a cheaper renewable. 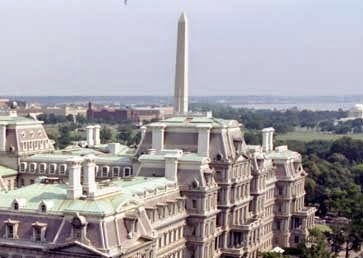 But for air quality officials, the issue is simply about cleaning up the air and meeting federal air quality goals that are tied to highway funding. The discussion quickly becomes about what the state can enforce and what it can’t. The problem is that the state compliance capacity is already overstretched, with little ability to take on wood stoves. However, that is different in Salt Lake County, which is moving ahead to enact stricter rules. The County has decided to undertake the investigations of wood burning on mandatory no burn days itself, instead of leaving those to the state, which now only issues the fine. Typically the initial warning is viewed an education process that leads to compliance, so that while many $25 fines have been given, rarely has the maximum of $299 been imposed. The new Salt Lake County rules, which take effect on Jan. 1, 2016, were not a reaction to the governor’s proposal or a rejection of the stove industry’s recommendations. The County's process began before the state's process and ended before the stove industry got involved and helped set up the advocacy group Utahns for Responsible Burning. According to officials at the Salt Lake Country Health Department, there was virtually no support for exempting EPA certified stoves from the county rule. Both certified and uncertified stoves can produce excessive smoke, depending on operator behavior and moisture content of wood, with uncertified ones performing worse, on average. While most EPA certified stoves produce 2 to 4.5 grams of particulates an hour in the lab when they are tested with specially prepared dry wood, they often produce far more in the real world. The Alliance for Green Heat is urging Utah officials to consider phasing out uncertified stoves, since reducing the number of wood stoves will have the biggest impact. “It may be that only about half of wood burners are really burning responsibly, whether they own a certified or uncertified stove,” Ackerly said. “The uncertified stoves made before 1988 are now obsolete and most should not be used in densely populated areas,” Ackerly continued. The current debate over wood heating comes less than 2 years after the outdoor wood boiler industry fought against Utah regulations that would prevent the installation of wood boilers on the Wasatch Front. That debate also brought national attention of industry who hired lobbyists in Utah. The industry effort to keep the market for outdoor boilers open in the non-attainment area was partially based on the now discredited argument that outdoor boilers were cleaner than wood stoves. That case, like the current debate, involved questions of emissions data from test labs vs. emissions in the real world, and the likelihood that operators would be burning responsibly. a draft rule banning wintertime stove use. Utah Governor Herbert’s proposal to ban wintertime use of residential wood and pellet stoves started a debate on the wrong foot. But it is vital that something is done and there are several ways that wood smoke can be reduced on the Wasatch Front around Salt Lake City. First, a phase out of all uncertified wood stoves is both realistic and effective. A phase out would mean that stoves made before 1988 could not be legally used after a certain date, such as January 1st, 2017. Before that date, the state could offer a tax credit to people who turn in their old stove and upgrade to an EPA-certified pellet stove or gas stove. This would protect the investment of anyone who bought a new EPA-certified wood stove in the last 25 years. Second, all existing stoves could be grandfathered, but there also could be a ban on installing new fireplaces or wood stoves in homes in the non-attainment area. Pellet stoves could still be installed as they can’t spew excessive smoke like wood stoves can if they are not operated correctly. 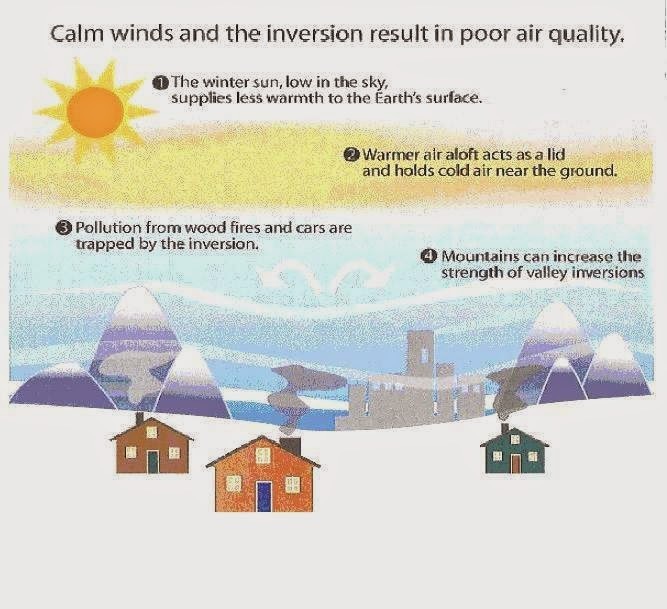 Many towns and valleys with bad inversions have stopped the new installation of fireplaces and wood stoves. 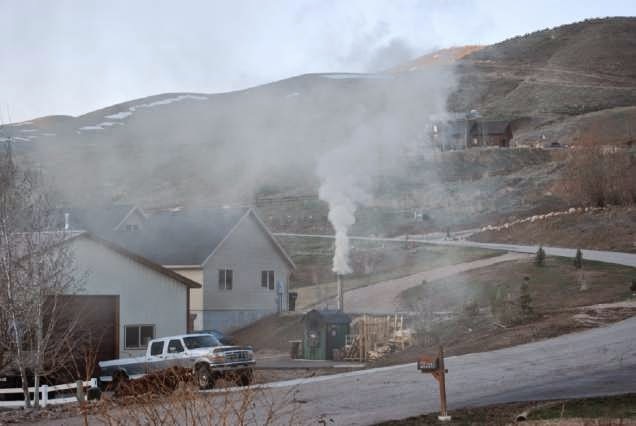 Third, as long as people can still buy and install wood stoves and fireplaces, Utah could require that they be among the cleanest in the country. Next year the national standard will be 4.5 grams an hour for wood and pellet stoves. On the Wasatch front, you could require new stoves not to emit more than 3 or even 2 grams an hour. No matter what strategy Utah chooses, the state must commit more resources to implement and enforce it – even in the unlikely event they choose a full seasonal ban. There will need to be trained compliance officers responsible for educating homeowners, inspecting homes, issuing warnings and, as a last resort, fines. Typically there will be a minority of people who create the most smoke. If those people can’t or won’t operate their stoves in a way that doesn’t create excessive smoke, fines should be imposed, just as fines are imposed for excessively loud music or any number of other nuisances. Most appliances are only regulated at the point of manufacture. After we purchase them, we are free to use a refrigerator or washing machine as long as we want, and abuse them in any way if we so choose. But for big emitters like cars and stoves, some measures to ensure ongoing pollution reduction can be warranted. For better or worse, many wood stoves last even longer than the best-made refrigerators or washing machines. Consumers tend to want to upgrade all sorts of appliances far sooner than they want to upgrade their wood stove. But the benefits of upgrading to a new stove are similar in that consumers are getting a far more efficient and cleaner device. And some good, new wood stoves cost as little as $700 at big-box hardware stores. fines to people who can’t operate their EPA certified stoves in ways that don’t make them belch excessive smoke. A compromise of limiting the seasonal ban to fewer counties in Utah and half the duration – Jan. 1 to Feb. 15th, instead of Nov. 1st to March 15th – is an option, but not a popular one. It may not be an effective one, either. As a society, we need to encourage the responsible use of renewable energy and support household energy security. Pellet stoves are already an environmentally responsible way to heat homes. Wood stoves can be, but are more complicated, especially in densely inhabited areas with inversions. A wood stove is a far bigger emitter of pollution than a car, and we need to start thinking about them as such. Just as many states require emission testing when a second hand car is sold, Oregon has begun requiring the removal of an old stove when a house gets sold. These are the sorts of solutions that can also work in Utah. 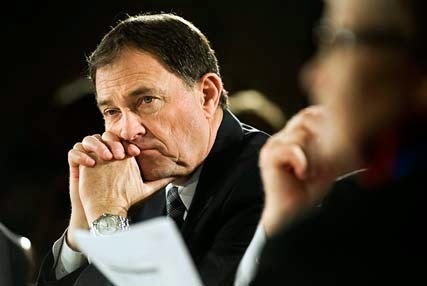 Governor Herbert is ready to make some tough decisions in order to accomplish something everyone wants – cleaner air. This proposal goes too far, but there are many other measures that can work, while respecting the ability of responsible stove owners to use a renewable resource to heat their home. Regardless, Governor Herbert needs to show that he is ready to provide some more funding and resources to enact and enforce changes. Otherwise, all of this controversy just amounts to hot air. 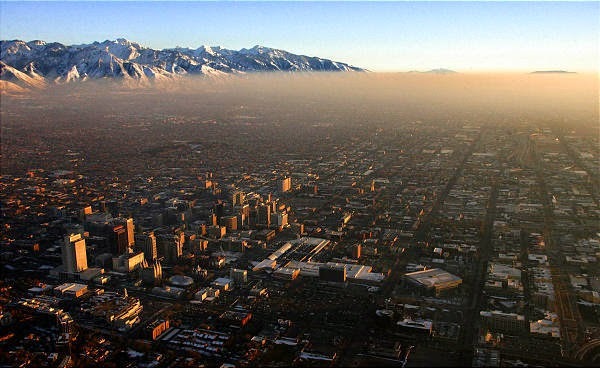 ✓ You can submit comments to the Utah Air Quality Board until February 9. For more info, click here. ✓ For media coverage of the Utah public hearings, click here. ✓ For the AGH position on the industry response to the proposed ban, click on this Facebook post.